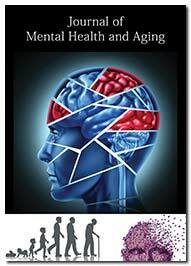 Journal of Mental Health and Aging is an international, open access, peer reviewed Journal publishing original research & review articles in all the related fields of neurology, psychology and gerontology. The journal provides a comprehensive overview of the fundamental and applied aspects of psychiatry and problems while aging. The journal provides a new platform for the researchers, scientists, scholars, students in this field to publish their research work & update the latest research information to the scientific community. Journal of Mental Health and Aging aims to publish high quality, diverse article as Research, Review, Mini Review, Rapid Communications, Perspectives, Editorials, Case Reports, Special Issues, Letters to the editor, etc. The journal accepts articles from across the disciplines including but not limited to Psychology, Neurology and Gerontology. It covers all the fields that are related to mental health treatment, psychology, gerontology, mental disorders, geriatric psychiatry, post-traumatic stress disorder, hyperactivity disorder, cognitive disorder, mental depression, mental health facilities, and psychiatric emergencies. All the submitted articles are subjected to peer-review process prior to its publication to maintain the quality and the significance of the journal. The published articles are made freely and permanently accessible online immediately upon publication. This improves the citations for authors, useful in attaining impressive impact factor. The effect of glycemic control on executive functions in elderly patients with type 2 diabetes mellitus. Peer support as a strategy for reducing hospital readmissions among older adults with chronic medical illness and depression.